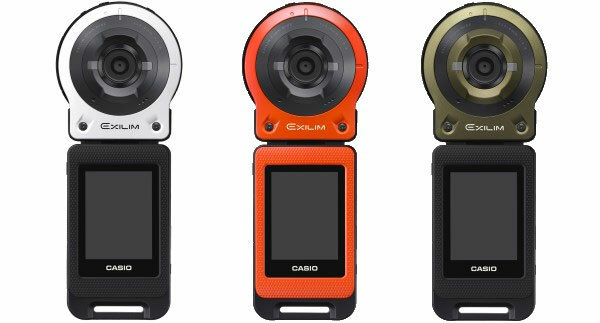 Casio announces advance action and sports camera today that also features detachable camera unit, the camera can split up into two parts.. if the display system is your hand and the camera will work upto 10m away… images can be recorded remotely and monitored 2″ 230k-dot touch screen. 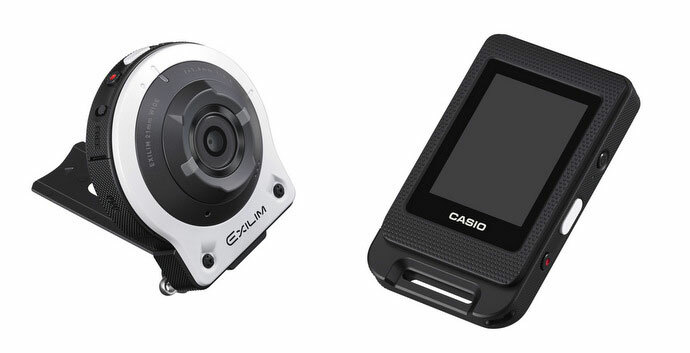 The Casio EX-FR10 is one step ahead of GoPro cameras since once you have adjusted the camera settings and attached it to your helmet, In-front of a bike or car…you can’t change the setting, but the EX-FR-10 remote display system will allow you to select your desired setting anytime you want. The camera features a 14 Megapixel 1/2.3-inch CMOS sensor attached with a 21mm F2.8 wideangle lens and the Autofocus system uses traditional contrast detect method, the camera records Full HD videos. The FR10 comes with a weather sealed design that protects your camera from water upto 1m for 30 minutes and 2m drop-resistant. You have to pay approx $480, £290 and €365 to buy this camera … currently available in JAPAN only.